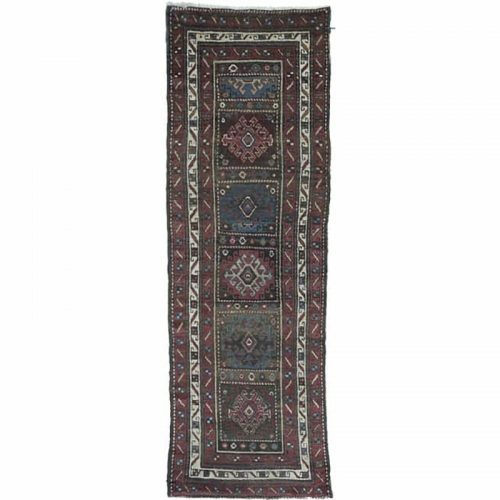 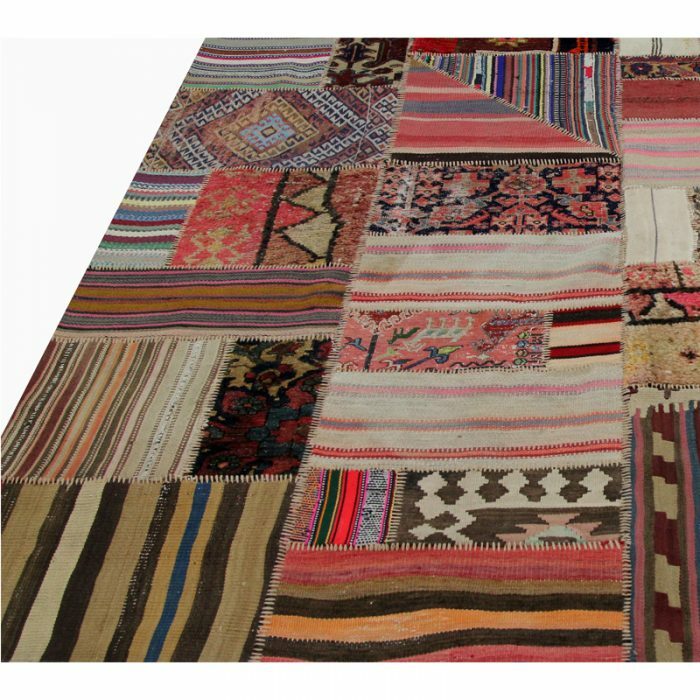 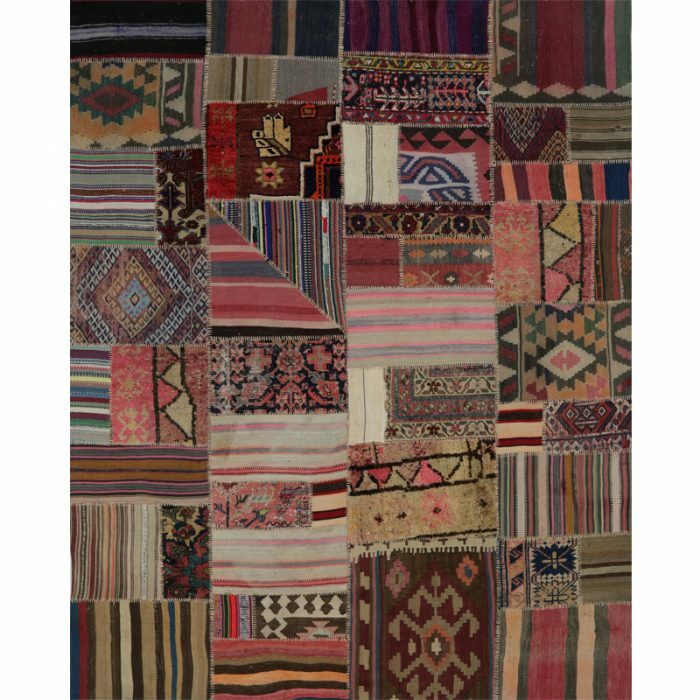 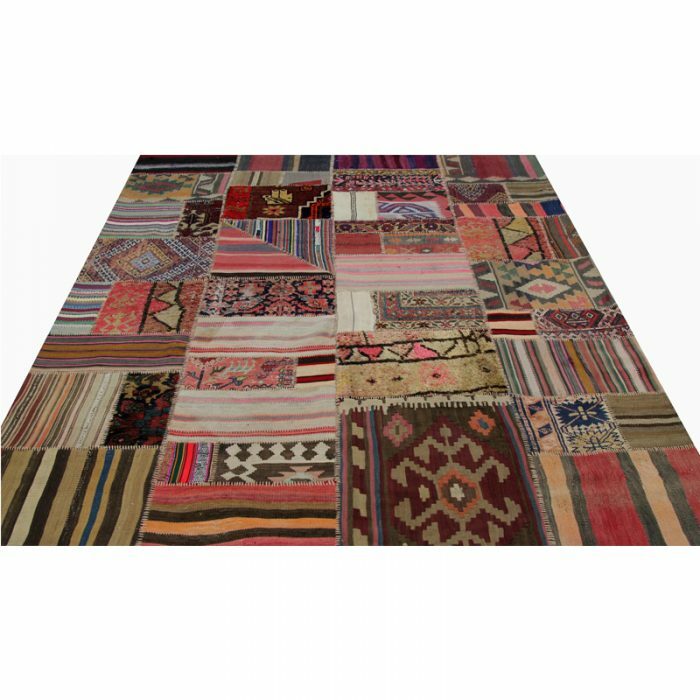 Vintage Distressed Patchwork Persian Rug from RenCollection Rugs – This vintage distressed patchwork Persian rug has been repurposed to create a modern distressed design. 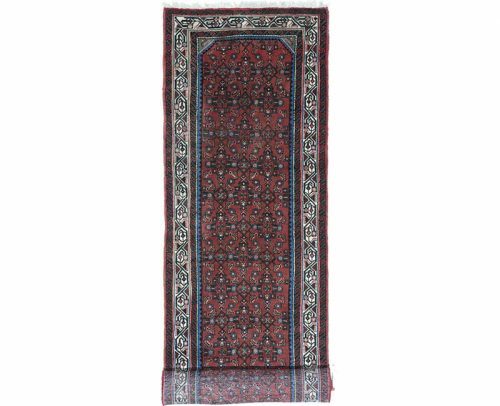 The aging process has achieved an elegant weathered look both compelling to the viewer and versatile for the interior designer. 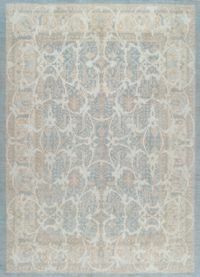 The simplistic worn-out look is popular for eclectic ultra-modern design in lofts and industrial office spaces. 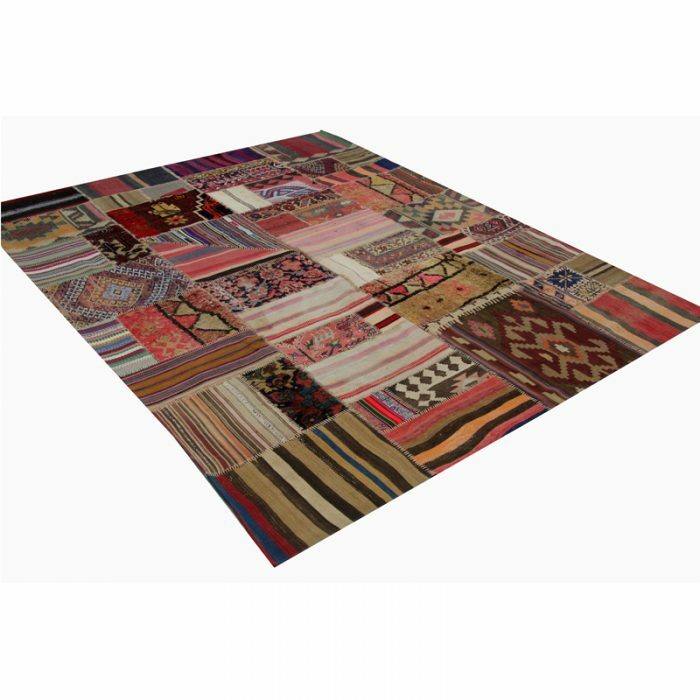 Easily blended with any trend, this vintage distressed Persian patchwork rug brings the perfect touch of rustic chic to your cowboy castle or country cottage. 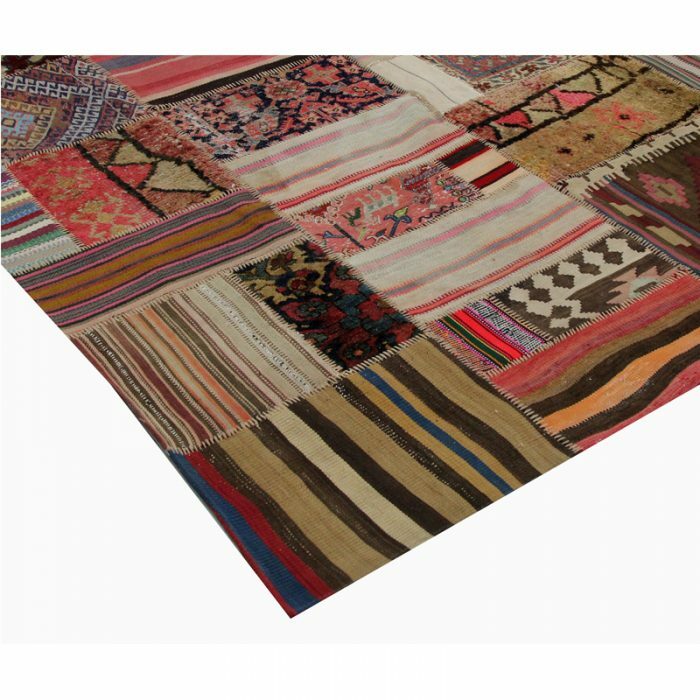 Vintage distressed patchwork Persian area rug featuring a beautiful mix of rugs of multiple colors quilted together into a rustic modern industrial design. 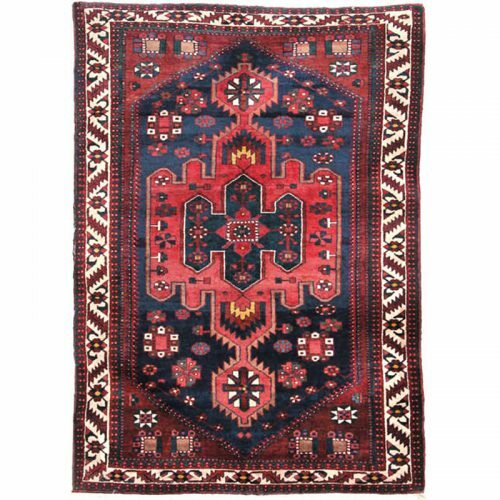 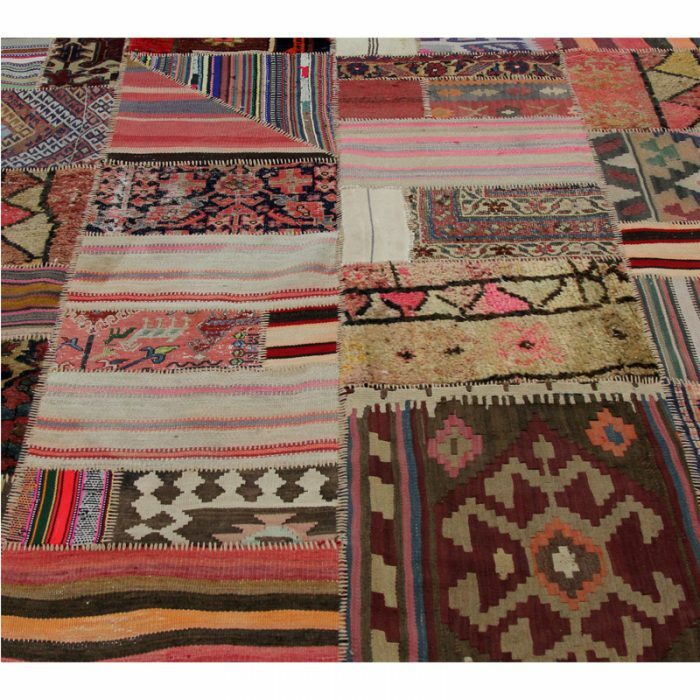 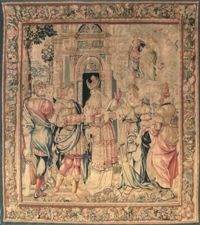 Repurposed from vintage rugs by the artisans of Iran.